As the cannabis industry continues to grow across the United States at a rapid pace, the competition amongst growers and producers is also heating up. This competition is reflected in dropping prices at both the wholesale and retail level. There are few options for growers to regain market share in the flooded retail market space. Growers can either cut their costs by engaging testing facilities that provide fewer services and questionable testing results or growers can choose the high road and distinguish their harvests from their competition through authentication of their strains. Authenticated cannabis products command higher prices at both the wholesale and retail level and the requirement for strain confirmation is an inevitable regulatory requirement. Cannabis has emerged from the black market with a lack of standardized naming conventions, the use of acronyms and non-standard abbreviations. Quality control in the cannabis industry is a hit and miss based on the sophistication of the entity and specific State regulations and enforcement of those regulations. Therefore, the cannabis consumer patient often times has no real idea of the composition, consistency or comparability of the cannabis product that they purchase. In today’s sophisticated world, the current vernacular nomenclature classifying cannabis chemovars as “sativa” or “indica” is scientifically indefensible based on peer-reviewed findings. Cannabis strain authentication entails both establishing a strain’s chemoprofile, the chemical composition including cannabinoids and terpenes, if not more, as well as the genotyping of the strain, resulting in a fingerprinted signature. 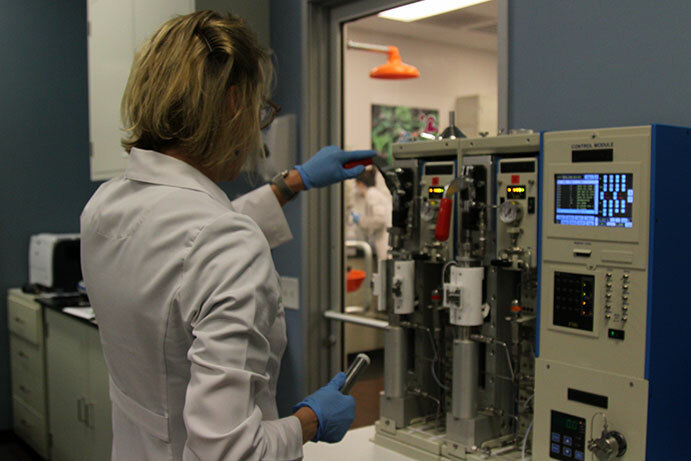 Cannabis testing labs are the path to strain authentication. Strain authentication is an important step toward development of reliable, consistent whole plant-based medical marijuana and patient consumer confidence, bringing legitimacy to the cannabis industry. The cannabis industry must continue its evolution towards an evidence-based model of medicine where cannabis chemical and genotypic profiles need to be correlated with their pharmacological activities using metabolic profiling with multivariate analysis requiring a reoccurring authentication ie. certification requirement for cultivators to be in the game.